...oh who am I kidding? I'll be spending the week sewing like a demon, trying to get as many bags as possible made before The Bean arrives! 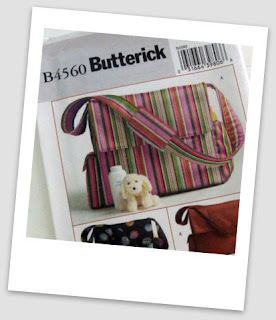 Anyway, one of the things on my to-do list this week was to finish off the nappy/changing bag I've been making for myself from the Butterick B4560 pattern (btw there's a really useful review on the SewChic blog). 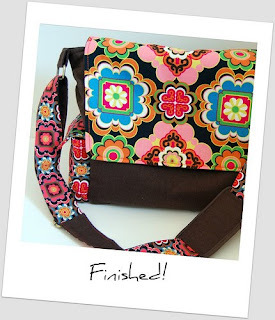 It's a pretty big messenger-style bag with loads of pockets of assorted shapes and sizes. The pattern is great, but I wanted to make the strap length adjustable - a few of my new-mum friends have said that having a long strap is essential for hanging over pram handles, but then you need to be able to shorten it for carrying over your shoulder. 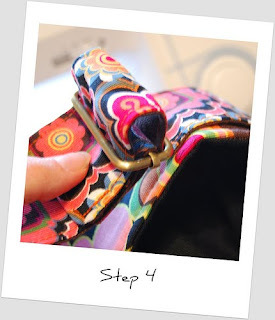 So, I bought 2 1/2" bag rings and sliders from one of my favourite suppliers on Etsy - 3D Pattern Paper - and merrily whipped through the pattern instructions, adding the strap loops and rings to the sides of the bag instead of a fixed length handle. 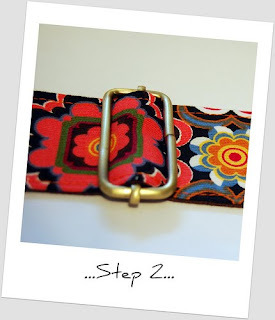 Step 1: isn't really a "step" but more of a starting point. 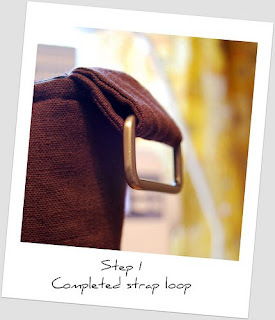 I'm assuming that your bag body is all made-up and you have strap loops with bag rings attached to the side of your bag as per the picture below. 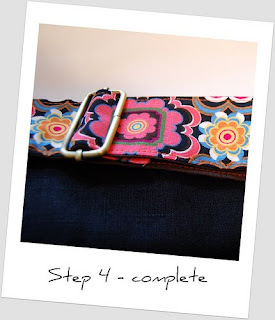 You also have a long bag strap made-up and ready to attach. 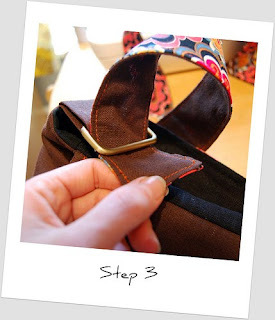 Step 2: Take one end of your bag strap and thread it through the slider as shown. 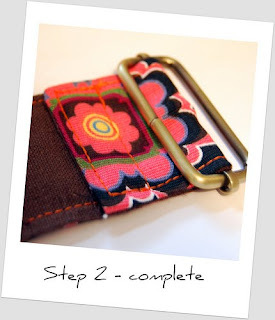 Note - in this instance the top side of the strap is patterned and the underside is plain. 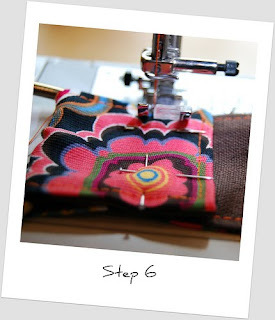 Then, once you have pulled the strap through the slider, fold the end over and stitch it down with the back sides together. I stitched the end down in a box shape for extra strength. 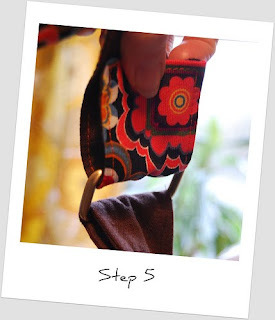 Step 3: Now pull the end of your strap without the slider attached through one of the bag loops on your bag. All done! 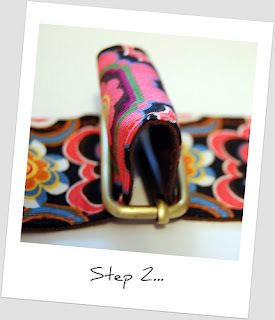 Your strap should now be securely attached and perfectly asjustable! If it sounds really straightforward, well that's because it is!!! Awesome tutorial and simple directions! I love that bag!